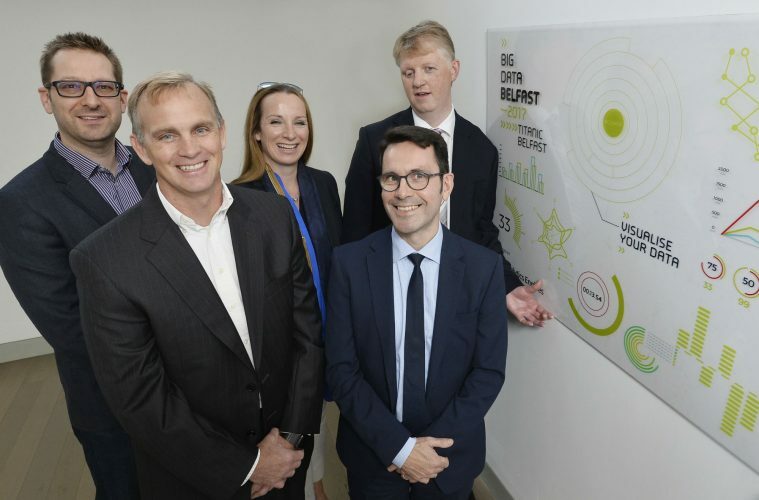 Businesses and organisations from across Ireland are being urged to activate their awareness of the power of Big Data at the Big Data Belfast 2017 conference which takes place on 19th October at Titanic Belfast. Some of the world’s best-known names in big data will be in Belfast next month to share expertise, experience and tips with IT professionals, researchers, business technology heads, academics and students at this not-to-be-missed one day event. Among the global technology leaders set to address the conference are SkyScanner, Microsoft, Citi and Bazaarvoice. This year’s conference will focus on a broad range of key emerging areas in the Big Data arena including health, smart cities, General Data Protection Regulation (GDPR), ‘data for good’, big data for business and exploration & experimentation. A number of companies will also be there to demonstrate their latest advances in big data technology products. Much of the discussion will focus on how Big Data makes our day-to-day lives easier. Big Data Belfast 2017 is hosted by local company Analytics Engines. The fifth year of this event, it has already become an essential event for those working in the technology sector or who want to understand more about data and how it impacts our daily lives. The headline sponsor of the conference is Citi, who are joined by Tughans, Bazaarvoice and Automated Intelligence as well a media partner, SyncNI. Speakers at Big Data Belfast 2017 include, Denis Condon, Technology Strategist at Microsoft, Roy Wilson, Senior Solution Architect at Microsoft, Colin McFarland, Director of Experimentation at Skyscanner and Paul Hill, Bazaarvoice Director of Software Engineering. “Data analytics has reached a level where we can automate much of our workload and make better, more informed decisions around the important aspects of our lives, such as health, work, travel and our environment. So while the technologies might be working harder, if we use them correctly, we can make our own lives better, easier and overall, less complicated. Big Data Belfast 2017 aims to drive thought leadership in one of the most exciting and expansive business clusters in Northern Ireland. “With speakers from global technology leaders such as SkyScanner and Microsoft, as well as world leaders in connecting brands and retailers like Bazaarvoice, the line up for Big Data Belfast 2017 is most exciting yet, with opportunity to hear about the innovations that market leaders across the globe are utilising. You can find all details and booking information online or by contacting us,” she added. Big Data Belfast takes place on the 19th October in Titanic Belfast, marking the end of Big Data Week. Big Data Week is a UK wide programme of events that look at how data is used. Local events include a discussion on the future of Artificial Intelligence at QUB on Wednesday 18th October. For full detail on the Big Data Belfast conference, including detail on the headline speakers, visit www.bigdatabelfast.com.